domains included: General, Economic, Juridical, Technical. Visit on-line version of RORUS to view dictionary database. 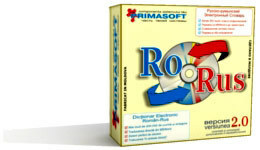 How to buy Electronic Russian-Romanian dictionary RORUS see here.